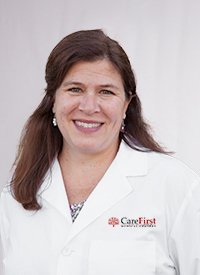 Dr. Long is the laboratory director at CareFirst. Dr. Long received her Bachelors of Science in Chemistry and her Doctorate in Pharmacology and Toxicology from the University of Alabama at Birmingham. She is certified as a toxicologic chemist by the National Registry of Certified Chemists. Dr. Long has been working in high-complexity clinical laboratories developing LC/MS/MS assays since 2006. Dr. Long's previous experience includes developing LC-MS/MS assays for a major CRO and starting clinical reference laboratories from the ground-up. As a licensed high complexity clinical laboratory director, Dr. Long understands the importance of working towards scientific excellence and maintaining regulatory compliance. Having worked in regulated laboratories, she has a great deal of familiarity with CLIA, CAP, COLA, and FDA requirements and enjoys implementing process improvements that help to maintain the quality of our results.